Whether you’re hooked on zoodles (that’s zucchini noodles for the uninitiated) or on a quest to eat healthier, a spiralizer makes an excellent addition to your kitchen. 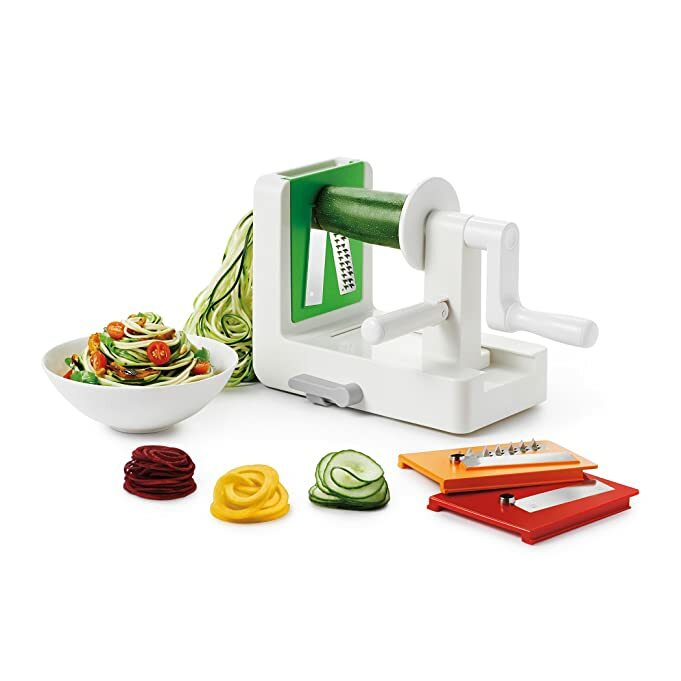 A spiralizer is a gadget or attachment that turns vegetables into noodle shaped slices, making it simple to substitute veggies for carb-heavy pasta noodles, or to add fun vegetable shapes to anything you cook. The best spiralizers are easy to use and make short work of veggie cutting. Our top picks are cost effective, easy to use, and versatile. Here are some of our favorite spiralizers on the market. 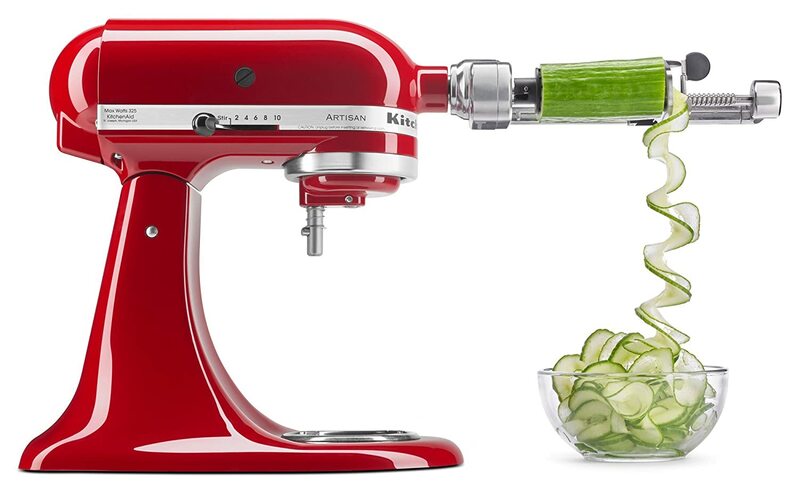 It’s hard to ignore this OXO model when you’re searching for a spiralizer. 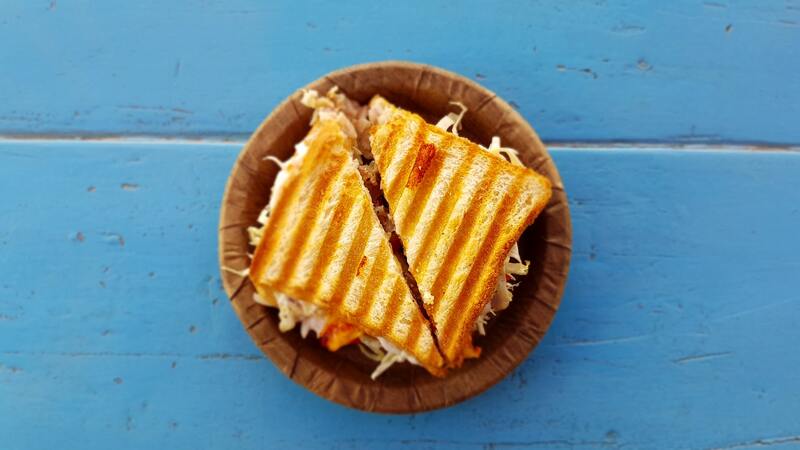 It appears at the top of many “best” lists, and is favored by several top food bloggers. 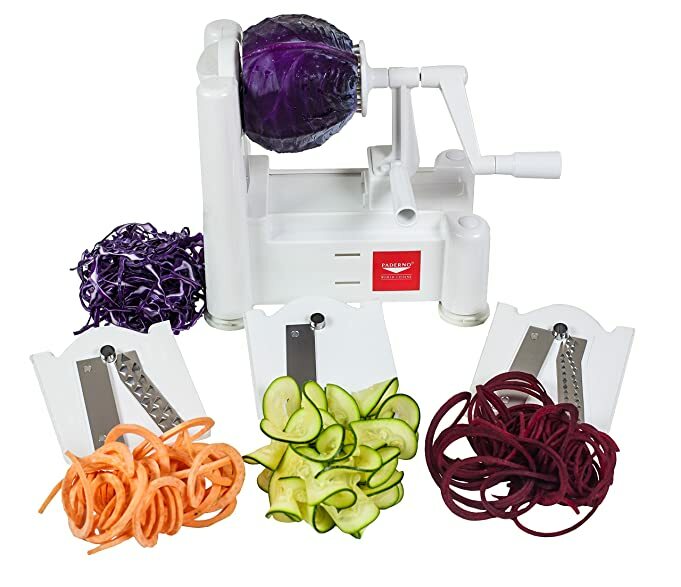 This is an extremely versatile spiralizer that gives you the ability to cut different shapes and sizes. We like the storage capability, too – the smart design helps ensure your blades stay sharp and easy to find. 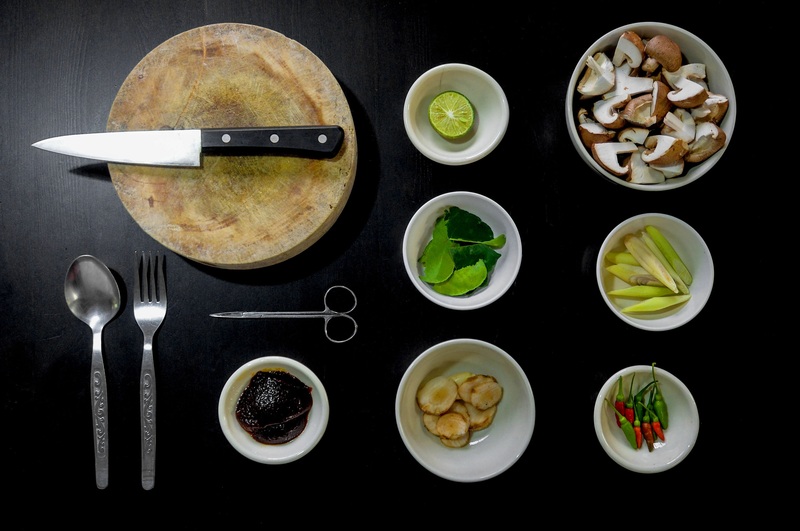 The directions for using it are straightforward and simple, meaning you can go from taking it out of the box to using it to create delicious and healthy dishes in no time. Similar to OXO in both functionality and look, this Brieftons gets a top spot because one of our staff has it and loves it! It’s heavy-duty, built to last, and features a lifetime replacement guarantee. It includes 5 different blades and is easy to clean up and store. It’s also very affordable (and is usually about $10 less than the OXO), so it’s very cost effective. 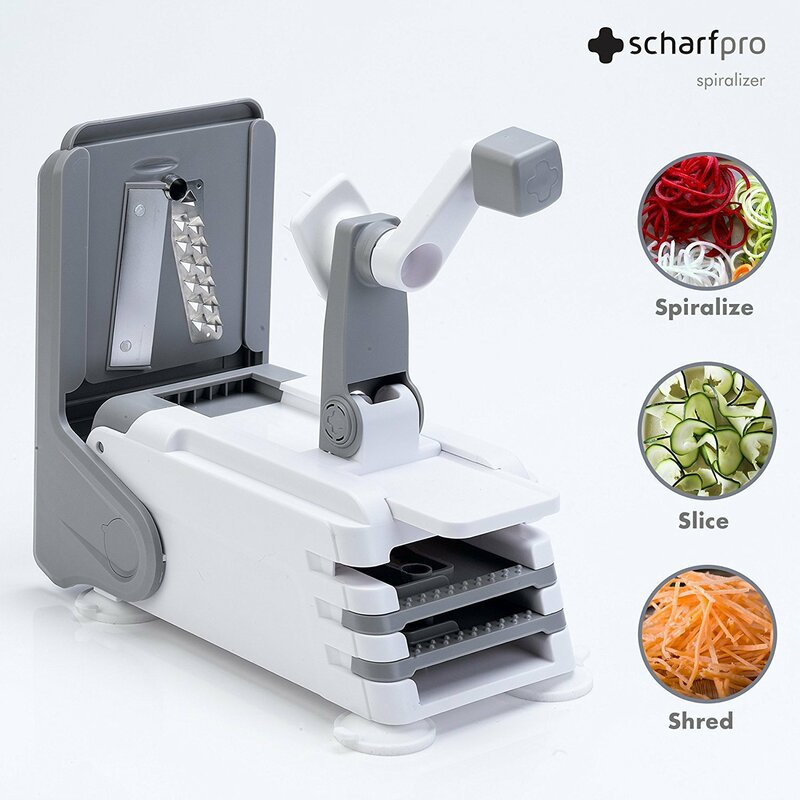 If you don’t have room for another gadget but you want to make zoodles, this ScharPro spiralizer offers great function in a more compact size. It includes 3 blades so you can create different mains and sides using any vegetables you like. 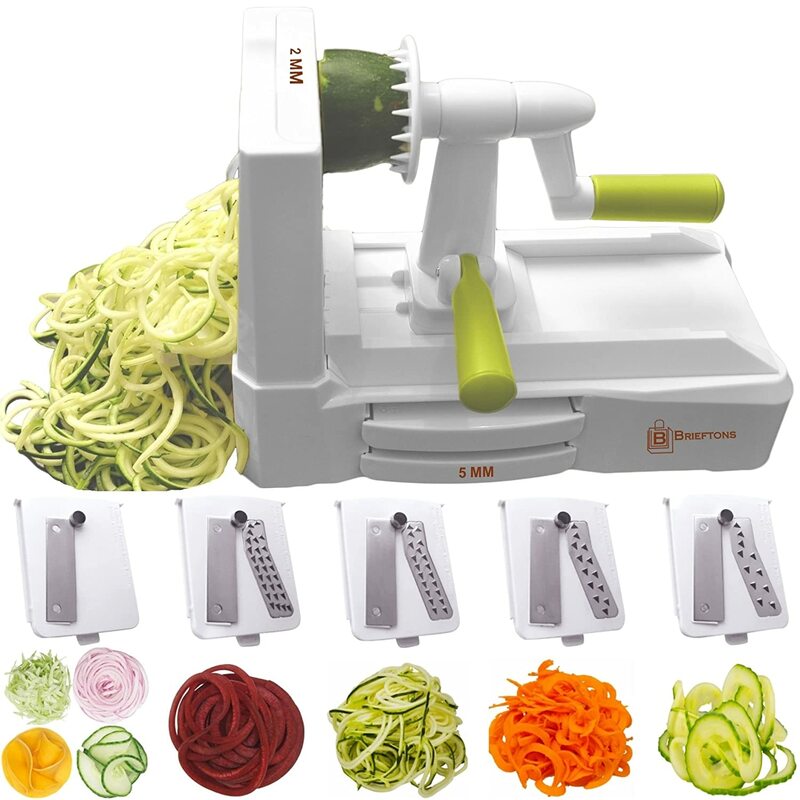 The size, weight, and storage ability makes this the best choice for anyone who wants a spiralizer but doesn’t have a lot of space for it. If you have a KitchenAid stand mixer, this attachment might be a good option for you. While it’s a little spendy, it’s worth the extra money to have a smaller gadget that works very well. The attachment includes 4 different blades to easily switch out based on the cutting, peeling, or spiralizing you need to do. Another great option that has been well reviewed by test kitchens and cooks is this 3-blade slicer from Paderno. It has great stability and consistency, and it features 3 different blade types for all sorts of options. Paderno has other options, too, including 4 or 6 blades and other color options. Many spiralizers are bulky, so make sure you have the space to store it, or choose a compact version. 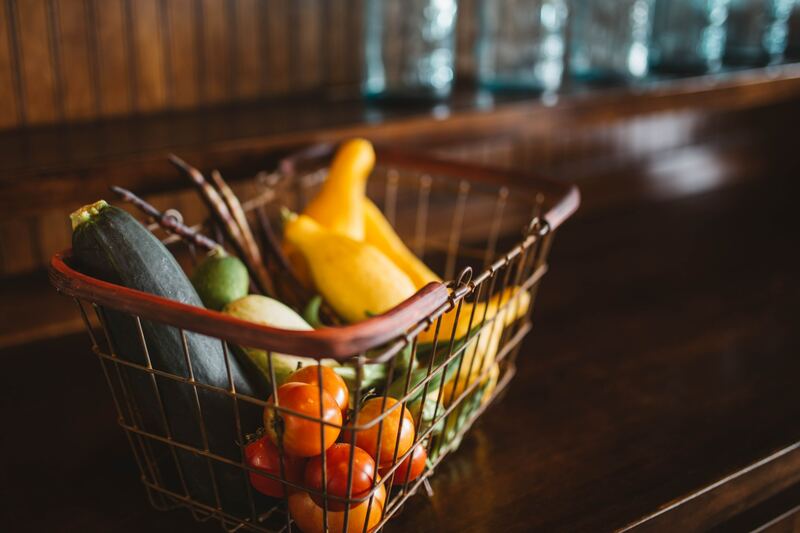 You’ll also want to check the functionality of the gadget — most operate the same, with the veggie held in place and hand cranks that do the work — but some models do things a bit differently.